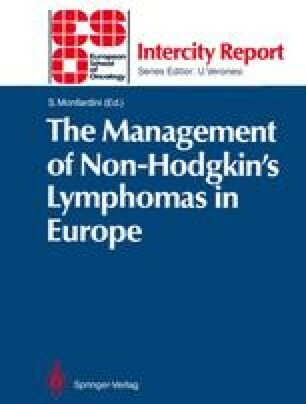 On 15 December 1986 in Strasbourg (France) the first Intercity Meeting of the European School of Oncology was held with a survey of the current status of non-Hodgkin’s lymphoma (NHL) management. The conclusions of this meeting are presented here. The Working Formulation for clinical use  (Table 1) is used throughout this paper.